Eminent cartoonist R K Laxman, who immortalised the hapless ‘Common Man’ with his swipes at politicians but without malice, died in Pune on Monday at a private hospital at the age of 94 after suffering multi-organ failure. “Laxman passed away at 6.50 PM,” Dr Sameer Jog of Deenanath Mangeshkar Hospital, said. Creator of ubiquitous mute spectator ‘Common Man’, Laxman was admitted to the hospital on 17th January for urinary infection. He suffered multi-organ failure and was put on ventilator. Laxman, brother of late novelist R.K. Narayan, is survived by writer wife Kamala, retired journalist son Srinivas and daughter-in-law Usha. His legendary spell on the Indian newspaper reader was cast after joining the Times Of India (TOI). His front page pocket cartoon “You said it” started in 1951, unleashing his iconic “common man”, a silent witness to the shenanigans of politicians who were supposed to realise his dreams, hopes and aspirations but betrayed him on most occasions. His association with TOI continued through the six decades even as he got back to work after recovering from a paralytic stroke in 2003 that incapacitated his left side. A Padma Vibhushan, Laxman also won the Magsaysay award in 1984 for journalism, literature and creative communication arts. Condoling his demise, noted cartoonists described him as outstanding, towering figure who always had his finger on the pulse of the nation. “India will miss you R K Laxman. We are grateful to you for adding the much needed humour in our lives and always bringing smiles on our faces,” Prime Minister Narendra Modi tweeted on Monday. According to the doctors, he had been bed-ridden for many months, needed caregiver support for his routine activities and suffered from diabetes, hypertension and diabetic nephropathy. He was under close observation of a team of intensivists in Deenanath Mangeshkar Hospital’s ICU for the last nine days. There were ups and downs in his condition, but it started deteriorating since last evening, and he suffered a cardiac arrest on Monday evening. 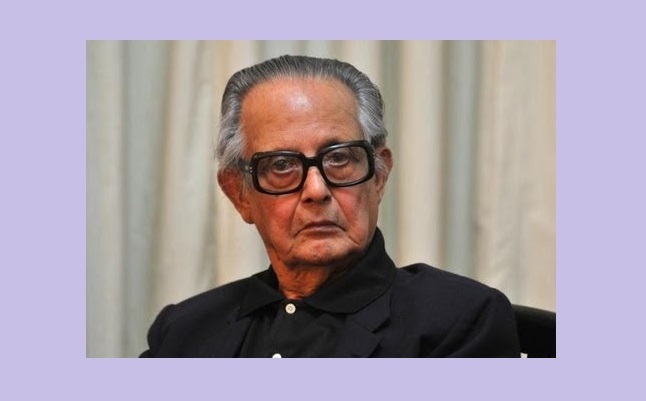 Rasipuram Krishnaswamy Laxman, son of a school teacher, rose to become India’s best known political cartoonist while his ubiquitous ‘common man’ became an icon in himself. As the news of his demise broke, his admirers were seen making a beeline for the statue of ‘Common Man’ in Worli in Mumbai. Born in Mysore on 24th October 1921, Laxman was one of seven siblings, including elder brother and eminent novelist, the late R K Narayan. Ironically enough, the young Laxman had to face rejection from the Mumbai’s J J School of Arts when he applied there for admission, and subsequently graduated with a Bachelor of Arts degree from University of Mysore even as he continued with freelancing and contributed cartoons to Blitz, Swarajya. While in college, Laxman started illustrating R K Narayan’s short stories in The Hindu and sketching political cartoons for local newspapers. He took up his first full-time job as a political cartoonist at Mumbai’s Free Press Journal. Among other honours bestowed on him are B D Goenka award-Indian Express, Durga Ratan Gold medal- Hindustan Times and Padma Bhushan. For the last several years he had settled down in Pune. “He was the original God of cartooning,” cartoonist Ajit Ninan said about Laxman, adding that all the metaphors that emanated from his hand and mind were unmatchable. Another noted cartoonist, Sudhir Dar, said Laxman always had his finger on the pulse of the nation. Sudhir Tailang, another member of the fraternity, said, “Laxman is an institution” who created “respect for the job of cartoonists”.